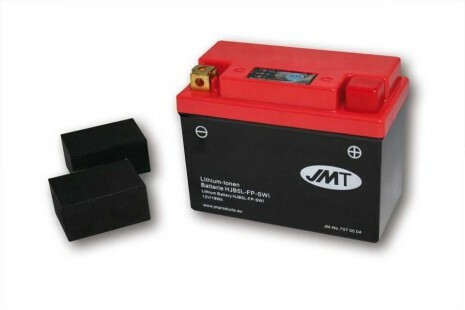 Lithium-Ion Battery HJB5L-FP with indicator, 12 Volt. Dimensions: Width x Depth x Height = 120 x 60 x 130 (92 + 38mm spacer = 130). Coldstart 95 Ampére. Low weight: only 0,4 kg!